Free Hotdogs and skateboarding. There isn't much need to say anything else. Be there! 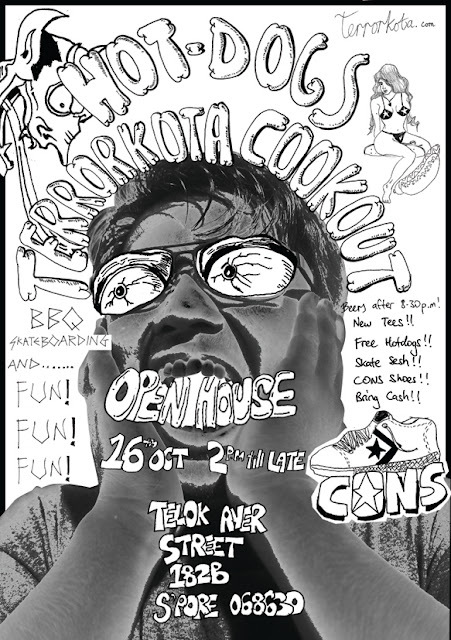 More info: Converse shoes, BBQ, Fresh T-shirts, Real street skateboarding, and BEER! why i dont see any updates on the Es Game Of Skate competition organised by Eddie Goh ? first 3 qualifying matches was held yesterday ! We have limited resources. Some people went down to the Terrorkota event to cover it. I was meant to cover the ES event but I wasn't sure what time the battles started. But this is a community website, anyone and everyone can get their information shared. So we just have to wait for someone to send us in picz or videoz and we will share it.